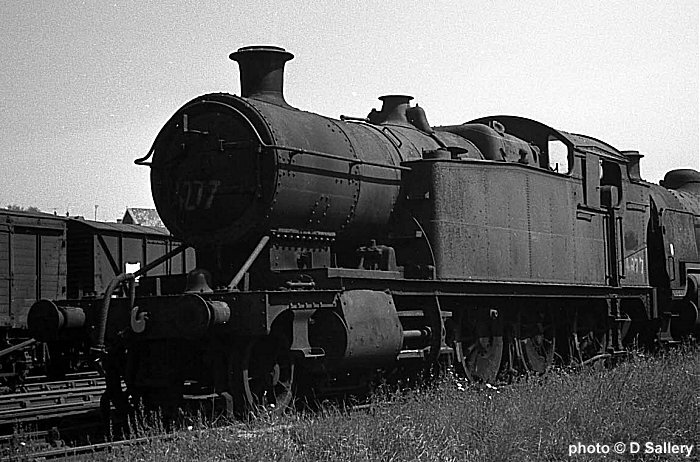 The handsome "Castle" class 4-6-0's were second only to the much larger "King" class in terms of passenger power. Developed by Collett from the "Star" class, they came into traffic from 1923 onwards and the last examples were built by BR. Seen above is No. 5029 Nunney Castle. 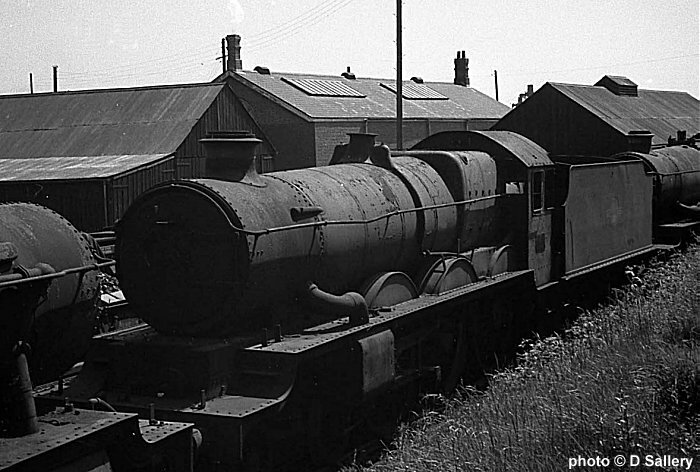 In their later years many of the class had double chimneys fitted, as seen on the loco above - No. 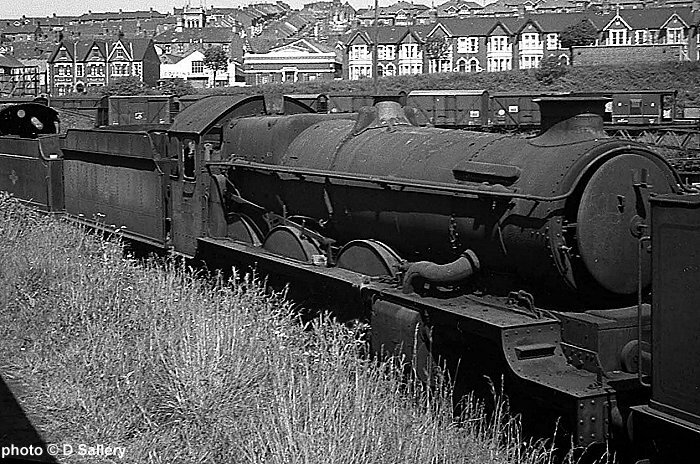 5043 "Earl of Mount Edgcumbe". This Castle is starting to disappear into the undergrowth by 1968. 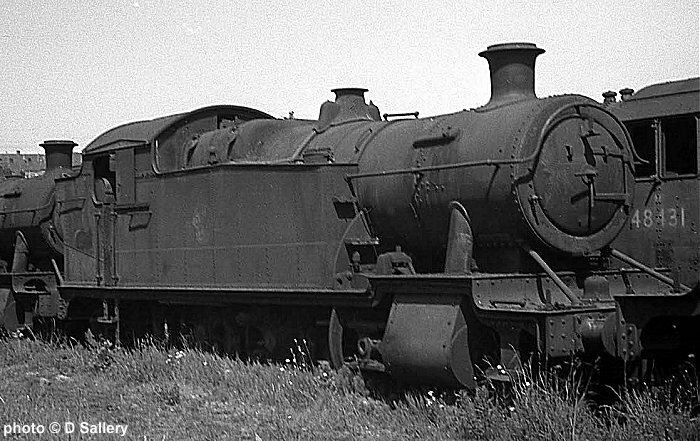 Class 5101 2-6-2 tank No. 4144. Built from 1929 onwards and a development of the 31xx class of 1903. These capable tank engines were widely used on suburban passenger services. 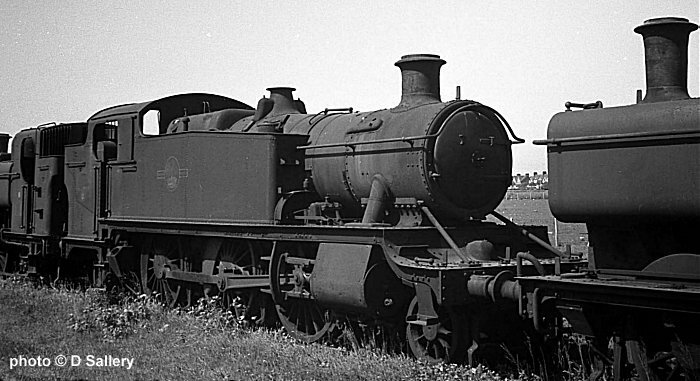 42xx 2-8-0 tank engine. Almost entirely used in South Wales where they hauled vast tonnages of coal for export to the docks. Another Churchward design dating from 1910. This is No. 4277. 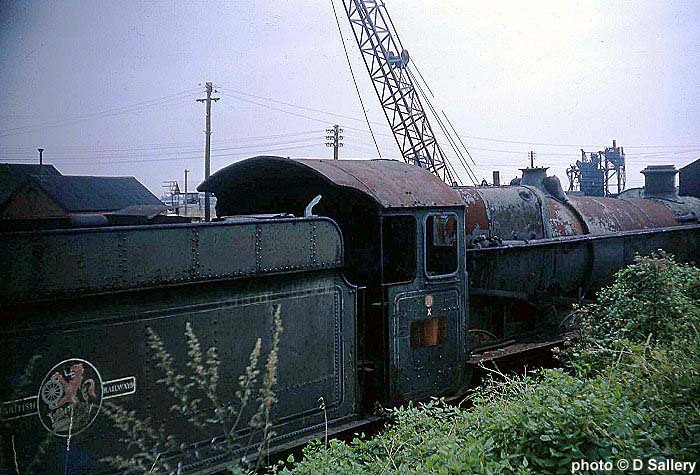 The class 72xx 2-8-2 tanks were a development of the 2-8-0 tank of class 42xx and featured a larger coal capacity behind the cab. 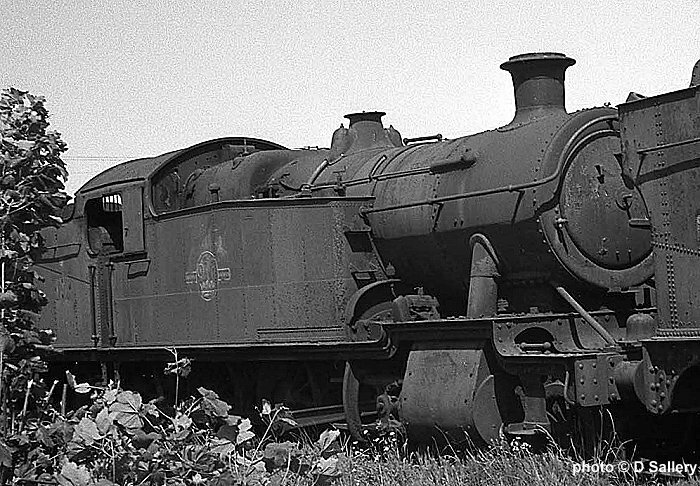 Introduced in 1934 and weighing 92 tons they were powerful and simple locos.